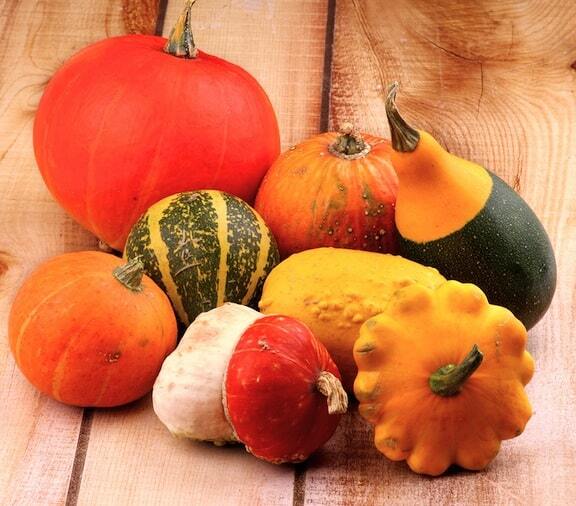 There has been a proliferation of winter squash varieties over the last few years. Before that, butternut, acorn, and the occasional sugar pumpkin were the extent of the choices. 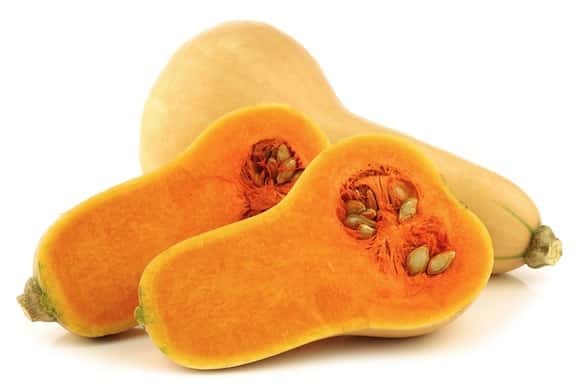 Now, you are likely to encounter golden acorn (a sweeter, smoother cousin of the green variety), banana squash, delicata, turban, and hubbard. Here are some tips and a listing of recipes so that you can make the most of them in fall and winter. I’ll admit that a big old winter squash may not be a practical choice when you come home starving at 6:30; and they can be cumbersome to work with unless you have good, sharp knives. 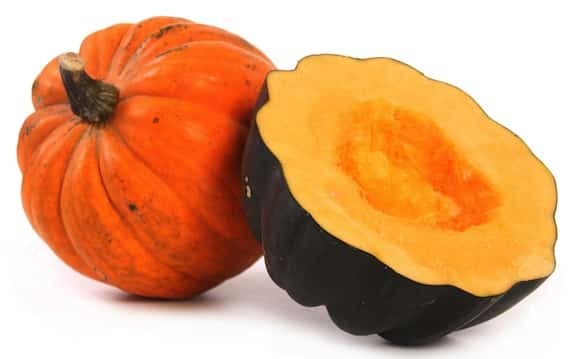 Fortunately, there’s a workaround for that; see How to Cut a Butternut Squash Without Losing Your Mind — these tips can apply to any of the other larger squashes or sugar pumpkins, too. 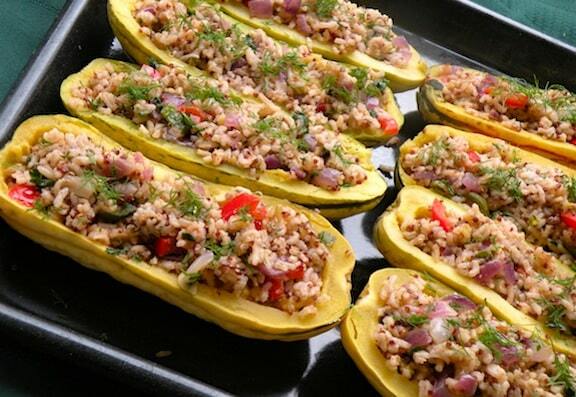 1 A good way to bake medium-sized squashes like spaghetti squash or acorn is to cut them in half lengthwise, place the cut side up in a baking dish with about 1/2 inch of water at the bottom, and cover each half tightly with foil. Bake for an additional 30 to 50 minutes, depending on size, until the flesh is easily pierced with a knife. 2 If you don’t want to struggle with cutting a large, thick-skinned squash, bake the whole squash ahead of time at 375 degrees F. for a half hour to 45 minutes. When cool enough to handle, it will cut more easily. Also, it’s easier to scoop out the seeds from a squash that’s partially done than an unbaked one. 3 Scoop out the seeds and fibers, cut in half, and proceed as directed above until the squash is completely done; or, peel and cut into large dice or chunks to cook in soups or roast in the oven until nicely done. 4 Smaller squashes like delicata and golden acorn can be microwaved successfully (see the specifics in some of the recipes that follow). For larger squashes, I like to stick with oven baking. The flavor develops better, and they cook more evenly. Don’t even think about microwaving spaghetti squash. Twice they have exploded in my microwave, leaving me with an incredible mess to clean! Get more produce tips by visiting VegKitchen’s Seasonal Produce Guides.